Micro-Sword Grass is a great foreground decoration because if supplied with a high enough light intensity, it can actually achieve a dense "lawn-like" appearance! Micro-Sword Grass resembles typical grass seen on house lawns which is where it gets the common name of "grass." It only grows 4 to 7 inches in height, making it ideal for foreground aquarium plant cover. It has a moderate growth rate, but can grow more quickly if provided with more intense light. In general, this plant is relatively easy to care for. Keep the water at a fairly neutral pH with plenty of nutrients. It can survive in either hard or soft water. They originate in South America, namely Brazil, Paraquay, and Argentina. Today they are grown in aquaculture farms for the aquarium industry. In the wild they grow on the banks of low current rivers, marches, and ponds. Although these are the optimal conditions, they are often listed as tolerating temperatures as low a 15° C as well as ph from 6-8. Light level: Moderate to high. Micro-sword grass will grow and propagate more quickly with higher light levels. Micro-Sword Grass is propagated by runners, much like the terrestrial Bermuda grass.. 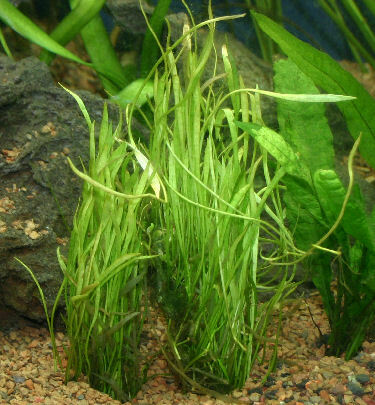 The Micro-Sword Grass Plant is readily available, they are propogated in large quantities for the aquarium industry. My micro sword infected brown algae even I use high lighting. I recently bought micro sword online to add to my 29 Gallon fresh water aquarium. They came in 6 little bunches that looked pretty bad when they came but as they started to mature in my tank they spread like weeds and gave my tank a great natural look. I have a 20 watt POWER-GLO which promotes coral, invertebrate and plant growth. I also added a CO2 defuser to my tank which i feel really promotes plant growth. I am very pleased with the look MicroSword has given my aquarium and would highly recommend this for any planted aquarium. I feel the same way. 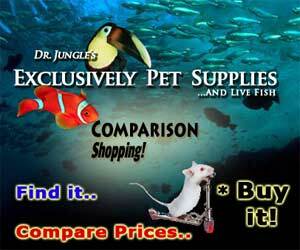 If you look around at pet shops you'll notice the differ-ence in condition, sizes and prices of plants. They are slow growing but are very easy to grow. They remain small and make wonderful front plants. If you plant them close together, they fill in nicely. They also wave ever so gently with the current in the tank. "Deborah DeRosa"
Hi I've got a question about that plant. I have got 79.4 Gallon tank no CO2 injection yet, but fine grain Prodac gravel made especially for plants and 160Watt T8 tubes. 3 of them are Osram 840, one is Grolux sylvania for plants and one is Filips Aqua relle. Do you think that in that conditions I can grow sword grass?